When most people think of California wines, they immediately think of Napa. Some even know about Sonoma County, which is right next door to Napa County. What most people don’t know is that hidden in the foothills of the Sierra Nevada mountains is Amador County and its wine. The Amador County wine making area has some of the best wines I’ve ever tasted. Granted, my palate isn’t that refined, but I know what I like. The area is known for Barbera, Zinfandel, Sangiovese, Syrah, and Vioginer. I’ve also had some great Tempranillo, Mourvedre, and Primitivo…not to mention a lovely Sauvignon Blanc or two. According to the Amador Vintners Association, there are 40 wineries in Amador County. The area’s wine making dates back to the California gold rush and some vines are over 100 years old. Amador’s vineyards range from an elevation of 250 feet in the western foothills to 2900 feet in the east. Summer daytime temperatures range from the eighties to more than one hundred degrees, while nighttime temperatures dip into the fifties and sixties due to breezes from the Sacramento Delta and the Sierra Nevada mountains. Such a diurnal temperature shift is good for the grapes because the sunshine produces high acids and high sugar content while the temperature drop stabilizes the acid balance in the fruit. Yeah, I don’t really know what that means, either, but it sounds good and I know it helps to produce some wonderful wine. My favorite thing about Amador County wineries is the people. It’s a great place to taste wines. It’s relaxed. It’s not snobby by any means. If you are new to wines, talk to the folks at the wineries. Most are working there because they love wine and want to share their knowledge with you. Most of the wineries don’t charge for tastings, unless you come in with a large group via limo…clearly just looking to get drunk for cheap and not to actually buy some good wines. The area isn’t far from Sacramento. Just an hour drive up Highway 50 and a few country roads…which are not like country roads in other states. These are paved. The area is just beautiful even on a hot summer day. The golden hills are dotted by oak trees in the lower elevations, evergreens higher up in the hills. It’s definitely a surprisingly wonderful alternative to Napa county. 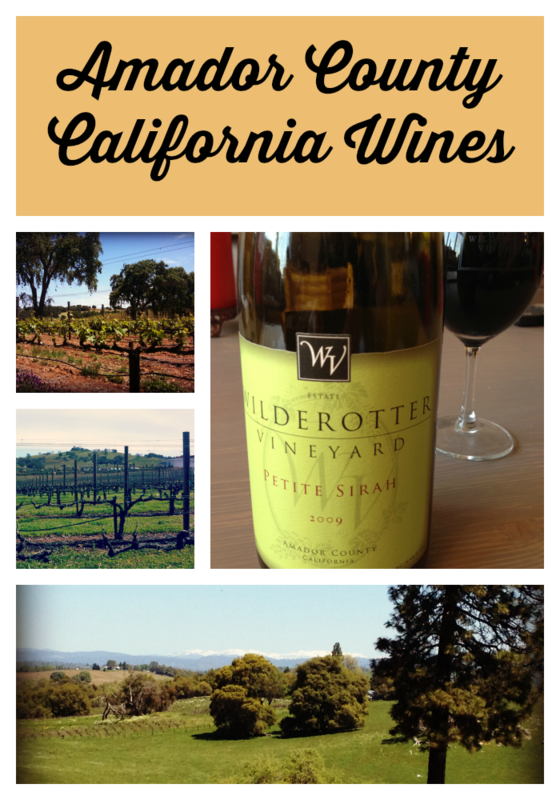 This entry was posted in Wine and tagged Amador County, California, wine regions on April 16, 2014 by Amy Ruiz Fritz.